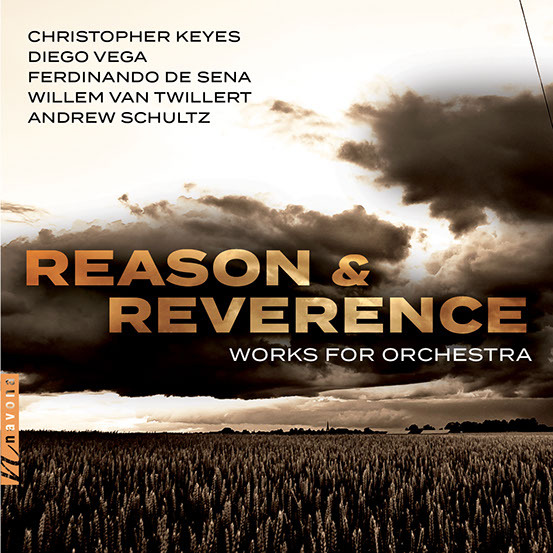 Andrew Schultz’s large-scale 2008 composition for orchestra, Symphony No 2- Ghosts of Reason, has been released on the US label, Navona, as part of a compilation of contemporary orchestral works. The performers in the work are the Moravian Philharmonic Orchestra conducted by Petr Vronsky from the Czech Republic. Full details of the CD are below; individual works on the CD are also available via all digital formats. “Majestic and dark” – Recent reviews of Ghosts of Reason from Denmark, Italy and the United States. Musical forms, like landscapes, seem to be haunted by past inhabitants. I feel this applies to Australia a lot. I remember as a child growing up in Western Victoria, an abandoned place where I used to go to play. It had been a house years before and was just broken building bits with foundations but no walls now plus a fantastic wattle grove – cold but beautiful in winter. The sense of being somewhere remote but lived in before was palpable. Musical forms are like this to me – for an Australian composer, Beethoven and Schubert seem to be wandering the Simpson Desert at times. Ghosts of Reason – Symphony No. 2 is a one-movement work of about 20 minutes duration. The piece was commissioned for the Adelaide Symphony Orchestra and Arvo Volmer (conductor) as the Schueler Composition Award for 2008. This award was established through the generosity of Mr Norman Schueler and Mrs Carol Schueler, in honour of Mrs Gogo Schueler. The piece was composed in 2008 immediately after the opera The Children’s Bach during a ‘double winter’. It was sketched out whilst in residence at the Banff Centre for the Arts in Canada in a tranquil snowbound studio. The work was then completed on the coast south of Sydney where stillness is replaced by invariably brutal, winter Southerlies.